Singapore Airlines (SIA) has established a “transformation office” to conduct a review of the business after reporting a near halving of full year net profit for fiscal 2017. The airline group posted net profit for the 12 months to March 31 2017 of S$441.9 million (A$427.1 million), down 48.1 per cent from S$851.8 million in the prior corresponding period. The full year result was hurt by a fourth quarter loss of S$126 million, compared with net profit of S$234 million a year earlier. “Intense competition arising from excess capacity in major markets, alongside geopolitical and economic uncertainty, continue to exert pressure on yields,” SIA said in its full year results released on the Singapore stock exchange on Thursday evening. Singapore Airlines, and others, have battled the rapid international expansion of Chinese airlines and the ongoing rise of Middle East carriers offering long-haul to long-haul connections through their hubs, which have bitten into previously lucrative markets. And in Asia, low-cost carriers (LCC) have won passengers happy to pay lower fares for a no-frills product on short- and medium-haul routes. As part of efforts to adapt to this new environment, SIA established Scoot to capture a slice of the growling low-cost long-haul market, while it recently took full control of short-haul LCC Tigerair Singapore. The two budget carriers are merging to operate under the Scoot brand from the second half of 2017. Moreover, Singapore Airlines is embarking on a significant overhaul of its fleet through orders for Airbus A350-900s, A380s, Boeing 787-10s and 777-9Xs, while its regional wing SilkAir is replacing A320s with new 737-800s and the 737 MAXes. SIA said the many strategic initiatives being implemented to address the structural changes in the industry were now showing positive results. 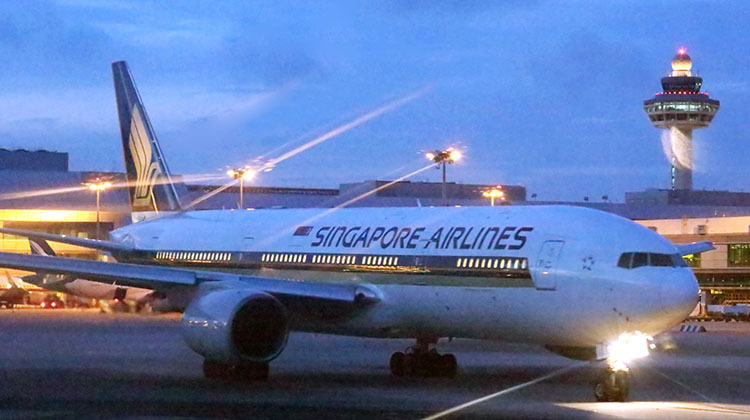 To that end, SIA said it had established a wide-ranging review of the airline group’s network, fleet, product and service, as well as organisational structure and processes as part of efforts to build on the strategic initiatives currently being implemented and achieve long-term sustainable growth. “The review is aimed at identifying new revenue-generation opportunities and reshaping the business into one that continues to deliver high-quality products and services, though with a significantly improved cost base and higher levels of efficiency,” SIA said. SIA said full year revenue across the airline group was down 2.4 per cent to S$14.87 billion. Singapore Airlines was expected to take delivery of 13 aircraft in fiscal 2018 comprising 10 A350-900s and three A380s, with 12 of the 13 expected to be in service by the company’s end of financial year date of March 31 2018. The airline confirmed it would return four of its A380s to lessors during fiscal 2018, which will be the first aircraft of the type to enter the second-hand market. 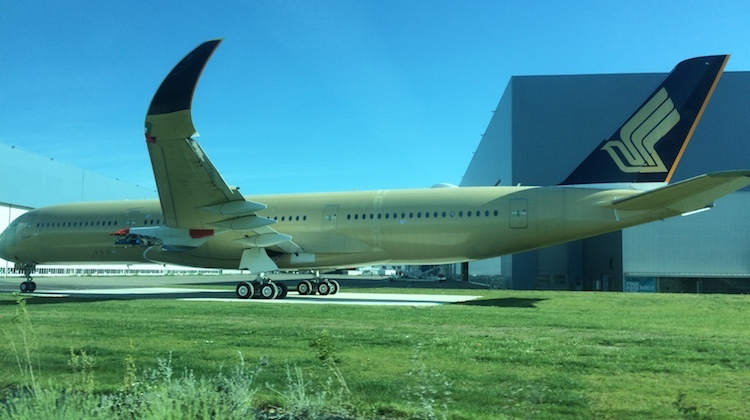 A further two A330-300s, two 777-200s and one 777-200ER were also slated for withdrawal. “The addition of more modern, fuel-efficient aircraft with new-generation cabin products is enabling the Group to expand its network and enhance its competitiveness in both the full-service and low-cost market segments,” SIA said. Singapore Airlines, or what SIA calls the Parent Airline Company, suffered a 20.4 per cent drop in operating profit to S$386 million. Load factors eased 0.6 of a percentage point to 79 per cent, while yields slipped 3.8 per cent and cost per available seat kilometre excluding fuel rose 3.6 per cent. By contrast, the financial performance of SilkAir and Tigerair/Scoot improved in fiscal 2017. SilkAir achieved an 11 per cent improvement in operating profit to S$101 million, while Budget Aviation Holdings (the umbrella company for Tigerair and Scoot) operating profit rose 60 per cent to S$67 million. What are the differences between legacy carriers and low cost carriers ? Their main issue is consistency. You pay a premium for Y or J and you end up in their old unfurnished Boeing 777-200s and B777-300s. Many airlines have upgraded their hard product and are competitive. SQ are better off getting rid of the old aircraft ASAP and getting the new aircraft in the popular routes. That being said, it’s good to see that they’re being proactive in undertaking a review early whilst they’re still making some profit, unlike other airlines who only react after achieving substantial loss. I’m fairly sure Singapore are replacing their A333s 772s with A350s and a couple 787-10s, their 773s won’t be too much longer they’re just waiting for the 779 to launch. Besides a couple of the near ones that’ll be refurbished. I think Singapore Airlines has become a bit complacent over the last decade, particularly in Australia. They’ve been overshadowed by the Middle Eastern airlines to some extent. Fewer cities served directly in Europe doesn’t help, but they don’t seem to leverage their partners like Lufthansa as much as they could. They also charge too much for premium economy and way too much for business class. Who took the terrible photo? The standards of this magazine are dropping significantly. I am not the only one who is saying this too. It’s happened to me before.You fly Australia to Singapore on the latest A330 But for your onward sector it’s on some old 777 AND IN Economy none the less.No Audio Video on Demand of the latest variety,a plane that’s well past it and it should not be happening.I am basing this on a 2009/2010 experience Adelaide-Singapore-Ho Chi Minh City and return from Hanoi-Singapore-Adelaide.I am sure a lot has changed since then but in an era when your rivals are offering newer planes MAS when I went back in 2013/2014 comes to mind with the A330 ADL-KUL-ADL but a 737-800 REGIONALLY It shows their shortcomings of SQ.